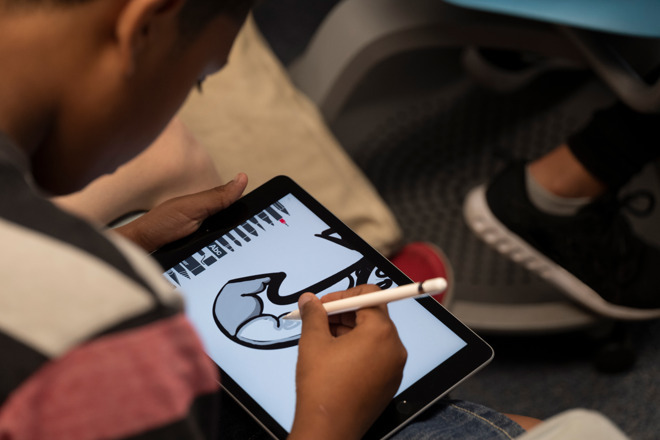 Apple on Monday released four new translations of the "Everyone Can Create" curriculum on Apple Books, meant to develop music, video, photo, and illustration skills -- specifically using Apple's iPad. The initiative is now available in French, German, Italian, and Spanish. Dutch and Swedish translations are coming sometime in the spring of 2019, Apple announced. Everyone Can Create has been downloaded "nearly 100,000 times" by European parents and teachers since the program was expanded to eveyrone almost four months ago, Apple continued. It used examples such as London's Anson Primary School and Manchester's Olive Tree Primary School. Apple Teacher, a program designed to get teachers into Macs and iPads, is said to be in use by over 63,000 people in Europe. Providing a glimpse into App Store numbers, Apple noted that there are "nearly" 200,000 educational apps available worldwide. Everyone Can Create is a parallel to Everyone Can Code, a longer-running effort to teach children and adults Swift, an Apple-created programming language. While open-source and technically functional on other platforms, it's meant primarily to support iOS, macOS, watchOS, and tvOS. Some colleges and high schools teach Swift courses. 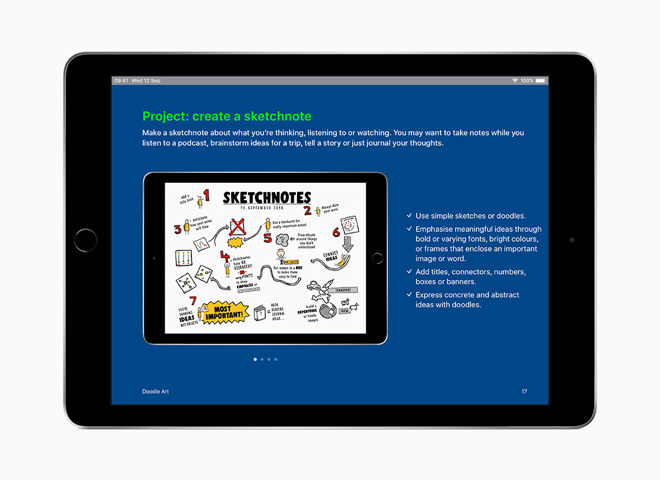 Create is geared not just towards increasing iPad use in education, but adoption of the Apple Pencil and the company's broader educational platform. The company has supporting apps such as Classroom, Schoolwork, and iTunes U. During the '80s and '90s, Apple computers were a staple in North American schools. While many institutions do still use Apple devices, the company has faced a tougher adoption battle in recent years, mostly because of Google's Chromebook platform. Some Chromebooks can cost $200 or even less, and have benefits such as built-in keyboards and easy administration. Apple's "budget" 9.7-inch iPad costs schools at least $299 without a stylus or keyboard.